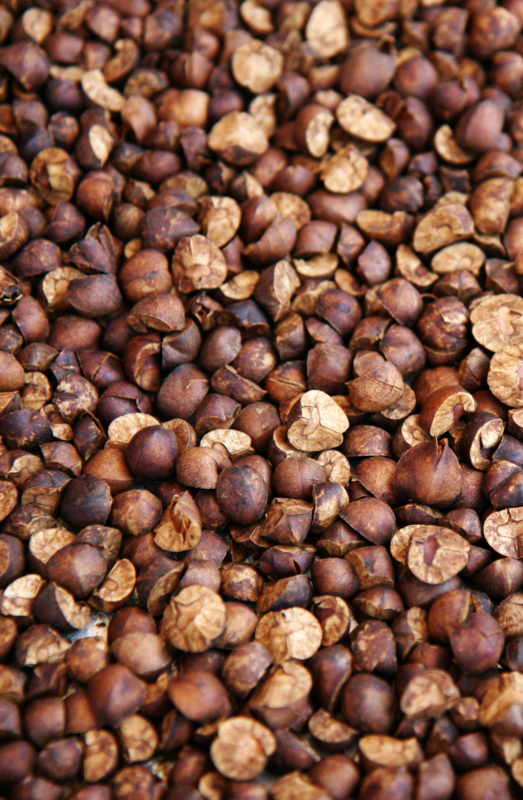 Why Do Mexican Jumping Beans Jump? Ryan L. asks: What makes Mexican jumping beans move around? Not actually a bean at all (beans being seeds from the family Fabaceae, also known as Leguminosae), the Mexican Jumping Bean is the seed pod of a shrub called Sebastiania pavoniana that has been implanted with larva from the Laspeyresia saltitans (also called Cydia deshaisiana) moth. When S. pavoniana begins to bloom in the spring in the arid, rocky slopes of Chihuahua and Sonora in Mexico, the mother moth lays eggs on the capsules of the shrub’s flowers. 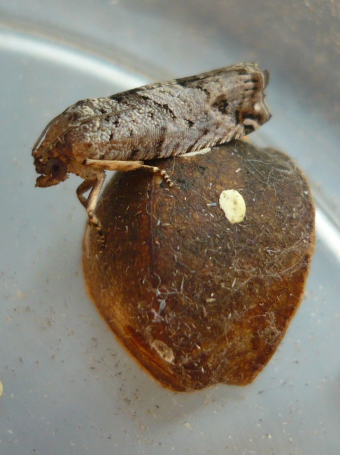 When the eggs hatch, the larvae eat their way through the capsules, and as the capsules mature, they become brown and hard on the outside, and bean-like in appearance. To get the larva to move around on demand, one simply needs to suddenly raise the temperature in its house. This will result in the larva attempting to move the seed and itself away from the heat source (in its natural state, trying to get away from direct sunlight) in order to avoid overheating and potential dehydration, which can quickly lead to its death. Even a small rise in temperature will suffice to get the larvae moving, and sometimes just holding them in your hand will do the trick. As for how long the larvae can last in the proper conditions, they stay in the beans until the following spring, ultimately maturing into their pupal stage (at which point they will no longer spasm in response to heat). Just before this, they’ll eat an exit hole in the seed, then plug it up with their silken thread. Next, they’ll spin a cocoon that connects via a silken passageway to this exit. The matured moth has no jaws, so without this pre-made exit, the moth would have no way out of the seed. The matured moth emerges from the seed in the spring at which point it generally lives for just a few days, with its sole order of businesses being propagating its species. Do Moths Really Eat Clothes? The most commonly eaten (culinary) bean in the U.S. and Mexico is the pinto bean, a variety of Phaseolus vulgaris, a species that also includes green, navy, string, black, kidney and lima beans, as well as peas. Many dried beans contain a toxic compound called phytohaemagglutinin, but this toxin is lost when the beans are well cooked in water. The Food and Drug Administration recommends soaking dried beans for at least five hours, and then boiling them for at least 30 minutes to ensure they are no longer toxic. Kidney beans are particularly rich in the toxin (raw kidney beans have anywhere from 20,000 to 70,000 hau of phytohaemagglutinin, while cooked beans have only 200 to 400 hau) and there have been cases of poisoning from beans cooked only in slow cookers (which don’t get hot enough to destroy all of the toxin in kidney beans). Symptoms of undercooked bean consumption include severe vomiting, diarrhea and nausea. As few as four raw kidney beans can trigger symptoms, which will begin within 1 to 3 hours of ingestion. Recovery usually occurs within 3 to 4 hours. Beans, beans the magical fruit. Warm the larva, watch it scoot.